KajSQL: Rhymes with (and is about) MySQL: How do MySQL users keep track of digital pictures? How do MySQL users keep track of digital pictures? On my non-MySQL blog, I just wrote a blog post called "Photo Manager: How do you keep track of your pictures?". I'm looking for Open Source Software that helps me keep track of my 100,000+ digital pictures. 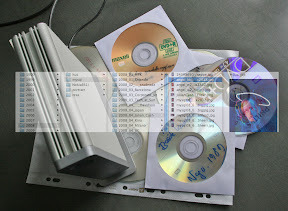 I wrote specs on dreamt-up software called Ã¢â‚¬Å“RobfatÃ¢â‚¬Â (for rename, order, backup, find, archive, tag) as I want to remove excess fat from my HDs (and CD/DVD cabinets). What if we had an "EXIF Storage Engine"? What if we could update EXIF tags directly from the MySQL command line, with UPDATE statements, and SELECT picture file names based on tags and other file characteristics? But beyond this technical aspect, I think many, many MySQL users are avid photographers and may have input about the specs themselves, or even know of existing software that satisfied the needs. So please go to the blog post and comment!